The Statue of Unity was built in the likeness of Sardar Patel, but in the spirit of the last Nawab of Junagadh – the very spirit Patel exorcised from India. Pratima Natak is a play by Bhasa, one of the most celebrated Indian playwrights in Sanskrit. It takes its name from the events that take place in the third act of the Ramayana. In the second act, Dasaratha passes away and Bharata, who is away, is asked to return to Ayodhya forthwith – without being told of his father’s death. The scene of action is the Hall of Statues, the Pratimagriham. Bharata awaits at the outskirts of Ayodhya for astrological reasons. He enters into the temple-like mansion where the statues of departed emperors are installed. He learns of his father’s death on seeing the statue of his father among the others. Are our ruling elite playing the same technique, by installing a colossal statue of Sardar Patel to convey that the Sardar who is eternal in the Indian psyche – and his ideals of national unity, simplicity and empathy for the poor – has departed from the nation for ever? The greatest service rendered by the ‘Indian Bismarck’ to the country was the integration of 552-odd princely states with the Indian Union in its turbulent formative years. Thus the hapless subjects of princely states were emancipated from the yoke of prodigal Maharajas and Nawabs. One such profligate ruler liquidated by the iron fist of Sardar Patel was Sir Muhammad Mahabat Khanji III of Junagadh. The last Nawab of Junagadh was notorious for squandering state resources for sake of his idiosyncratic passion for dogs. The Nawab was frivolous enough to have invited the Viceroy Lord Irwin to the marriage of Roshanara with Bobby – the Maharaja’s favourite pet dog and a royal golden retriever that belonged to the Nawab of Mangrol. Films and photographs were taken of the three-day event, where no less than three lakhs were spent. A number of royals and dignitaries attended the marriage. Shampooed, perfumed, bejewelled, Roshanara was carried in a silver palanquin to the Durbar Hall. Earlier, 250 dogs attired in brocade had received the groom, Bobby, who was bedecked in gold bracelets and necklace, at the railway station. They were accompanied by a military band and a guard of honour. A grand wedding feast followed. After this, dog weddings were much in vogue among rulers in North India. Maharaja Ranbir Singh of Jind and Maharaja Bhupinder Singh of Patiala celebrated the weddings of their dogs in a pompous style. 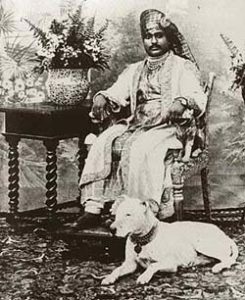 The Maharaja of Junagadh owned 800 dogs, each with its own room, telephone and servant. A white-tiled hospital with a British vet treated their ailments. When a dog died, Chopin’s funeral march was played and a state mourning was declared. In contrast to these extravagant elites, Patel always stood for the poor and downtrodden. In his initial years of public life, he energetically fought against veth – the forced servitude of Indians to Europeans – and organised relief efforts in the wake of plague and famine in Kheda. When the Kheda peasants’ plea for exemption from taxes was turned down by British authorities, Gandhiji asked for a Gujarati activist to devote himself to their struggle. Patel volunteered, to Gandhi’s delight. The Kheda Satyagrha of 1918 was victorious, and Patel was emerged as a hero. The Bardoli Satyagraha of 1928 was another major episode. The movement was eventually led by Patel, and its success gave rise to Patel as one of the main leaders of the independence movement. In 1925, the taluka of Bardoli in Gujarat suffered from floods and famine, leaving farmers in great financial distress. The government of the Bombay Presidency had raised the tax rate by 30% the same year. When the struggle began, the government was trying to auction the houses and land of defaulting farmers. Not a single man from Gujarat or elsewhere in India came forward to buy them. In 1928, an agreement was finally brokered – the Government agreed to restore the confiscated lands and properties, to cancel revenue payment for the year, and even to cancel the 30% raise until after the succeeding year. It was women of Bardoli who first bestowed on Patel the title ‘Sardar’, which in most Indian languages means chief or leader. The struggles of the Indian peasantry have not changes much from those of Kheda and Bardoli. Farmer suicides are a quotidian affair. The Rs 2,989 crore spent on the Patel statue are dues owed to the poor Indian farmer. Had the amount been spent on a programme named after Sardar Patel, aimed at the welfare of the peasantry, Patel’s soul would have been more delighted. By installing the mammoth statue, are the ruling elite treading the path of Sardar Patel who walked with the poor and downtrodden, or the primrose path of the last Nawab of Junagadh, who squandered state funds on canine nuptials? The statue is that of Sardar Patel, but the soul invoked in it is that of the last Nawab of Junagadh – the very spirit once exorcised by Sardar Patel. In The Happy Prince, Oscar Wilde told the story of a statue whose heart beat for the poor and needy. High above a city stood an ornate statue of the Happy Prince. He oversees the town and is pained by the suffering of his people. He weeps and orders his friend, a Swallow, to distribute the gold and diamonds embedded in him to the needy subjects. 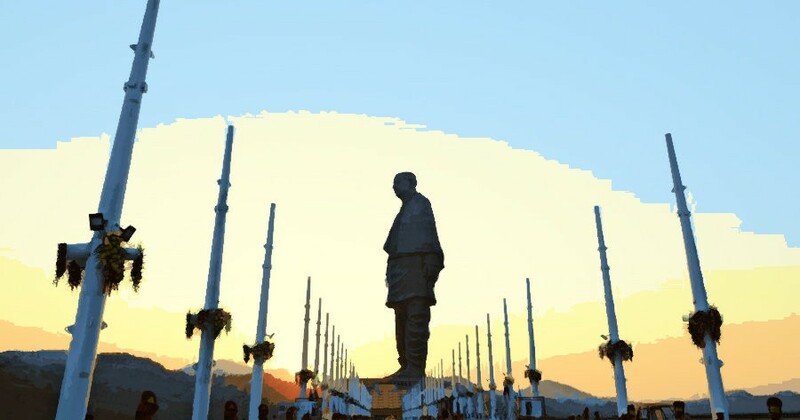 Like the Happy Prince, the statue of Sardar Patel must weep for the miseries of peasants and adivasis around him. The Chilean poet Nicanor Parra famously said about the Statue of Liberty – “America, your liberty is only a statue!” Let the poets of our times not cry at the Statue of Unity: India, your unity is only a statue. Faisal C.K. 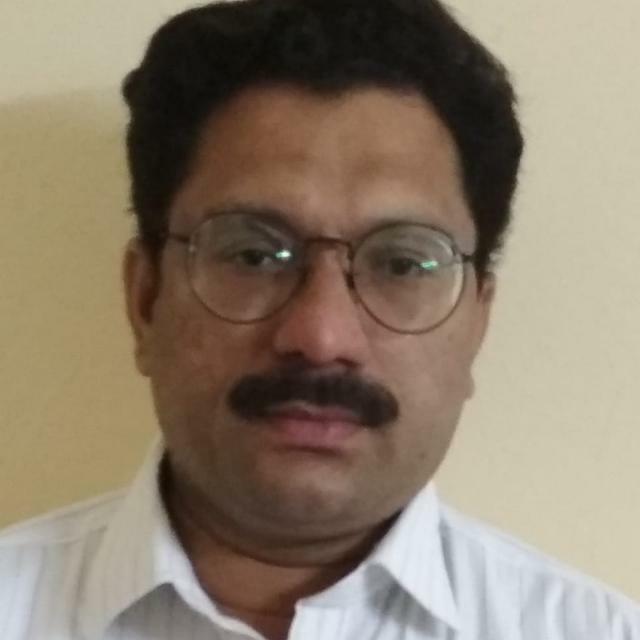 is an independent researcher.